Wayne grew up in Overton, Texas and attended The University of Texas, where he earned a BA in accounting and an LLB in Law. He is also a CPA. 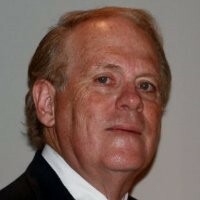 Wayne joined Keystone International as Chief Financial Officer (CFO) in 1974 when the Company had ~$15 million in sales. Over the next twenty years, he served as CFO, Executive Vice President, leader of the company’s external growth strategy and board member. In these roles, he played a central role in making Keystone one of the top performing companies in the Fortune 1000 and the world’s largest valve company with sales of ~$1 billion. The company was sold to Tyco for $1.7 billion. Through this experience, Wayne learned to build a small business into a very big business; worked at a world-class company; and developed vital transactional and operational skills central to Dos Rios’ control investment strategy. During the 1990’s, Wayne bought and developed two small companies, Texas Microsystems and Briskheat. He grew these companies and sold them for a combined value of over 6x his original investment. In the 2000’s, Wayne formed Atreides Capital to invest in, and help build, private businesses. He and Bo co-invested together. The national trade association of SBICs (i.e. the Small Business Investor Alliance) selected one of their co-investments, New Mexico-based Controlled Recovery, Inc., from approximately 4,000 SBIC portfolio companies to be the “2011 Portfolio Company of the Year”. His net returns rank in the top 1%. Wayne’s involvement in civic activities includes serving as Treasurer of the Shrine Crippled Children’s Hospital, President of the Ronald McDonald House, Chairman of the Harris County Committee for the Prevention of Child Abuse, Director of the Covenant House, Director of the Houston Grand Opera and the Houston Ballet. Wayne is married with three children and enjoys hunting and fly-fishing.